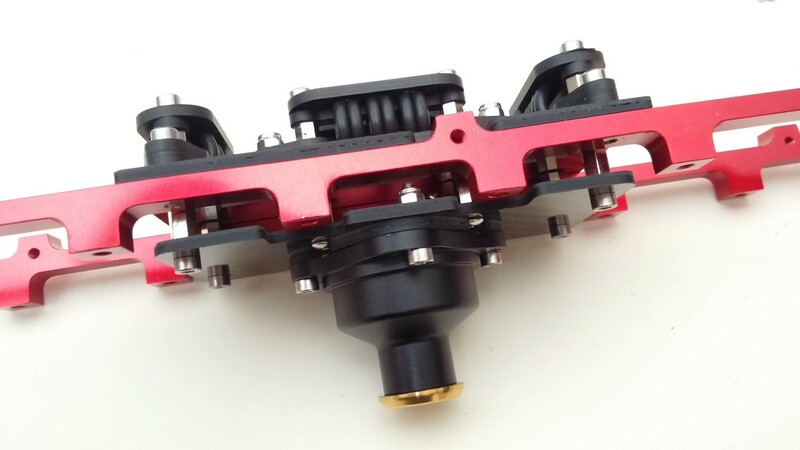 VelosUAV core innovation is its twin engine fully redundant design. There is a set of every major component including the main motors, batteries, electronic speed controls (ESC), belts, and gears. Unlike most UAV helicopters that are based on common hobby grade helicopters, we chose to design the VelosUAV from scratch with three main objectives. 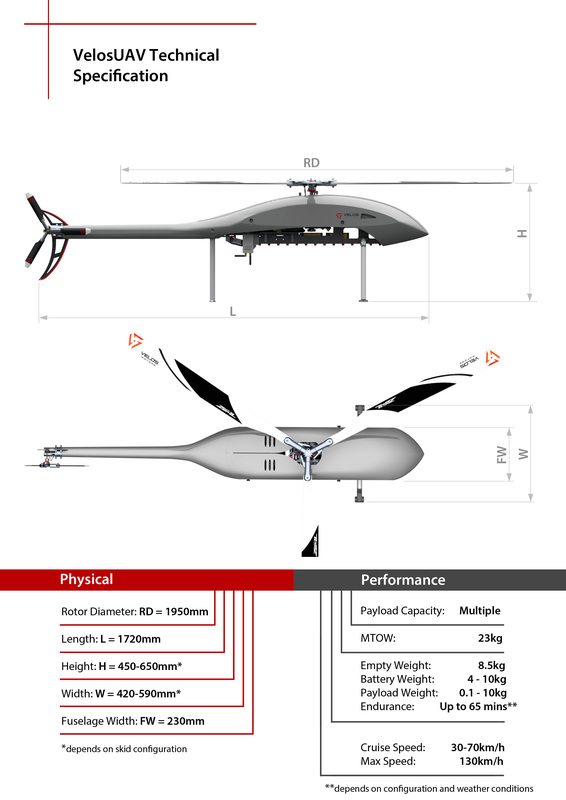 Our patented highly innovative drivetrain-gearbox renders VelosUAV the only UAV helicopter in its class with the ability to tolerate a complete failure of most major components allowing it to safely land and protect its payload and surroundings under those circumstances. The system automatically isolates the faulty part without introducing additional drag to the operational part of the drive-train. Motor failure, broken belt, gear – one-way bearing failure, Burned ESC, main battery failure, BEC failure, servo failure. VelosUAV mechanics are extensively tested and proven to be extremely reliable and maintenance free thanks to the ingenious design. Having clocked more than 1000 hours in the air there are no hidden surprises and our UAS just performs flight after flight. VelosUAV is a professional UAV helicopter designed in way that it can be easily adapted in a variety of different applications. 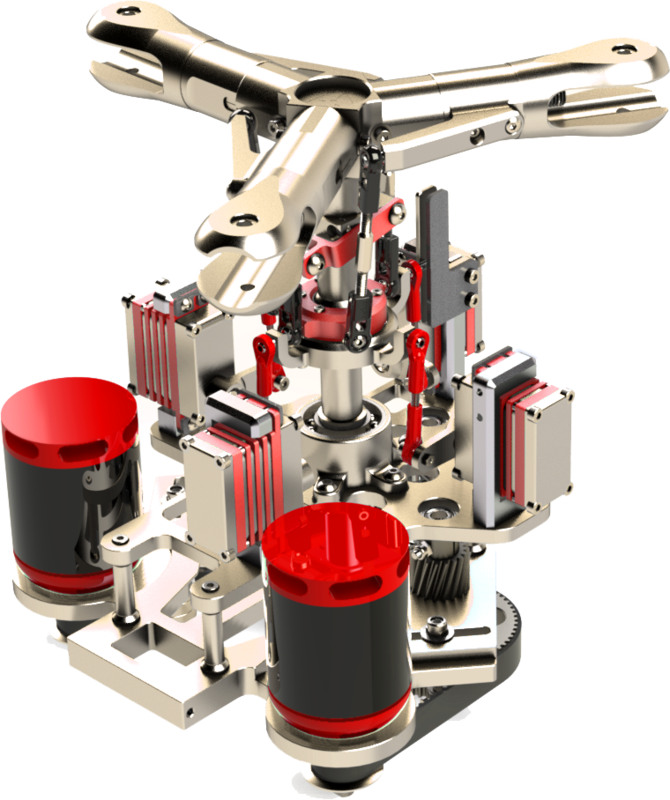 The unique payload rail system provides plenty of flexibility and free space thus allowing almost any possible payload to be mounted on the helicopter in a fast, easy and reliable way. More specifically, the helicopter’s payload rail has a total length of 55cm (21.5inch) and there are 14 sets of extruded bases along its length. They are placed along the rail every 4cm and there are M4 threaded holes in all of them. With 28 in total different locations for mounting payloads it is easy to integrate your payload in the way you wanted to be or even combine different payloads. For example in the front of the payload rail we can mount two small cameras like an FPV day or night and a thermal camera and we still have the most part of the rail available for a gimbal, lidar sensor, delivery box, magnetometers, a powerful flood light or whatever we may need to attach. With all that flexibility available the only limit is your imagination.